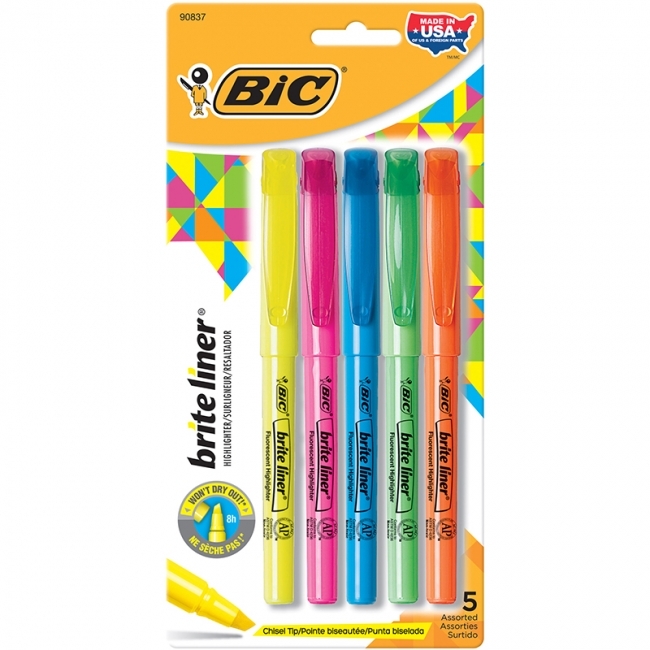 BIC Brite Liner Highlighter features super bright fluorescent ink. 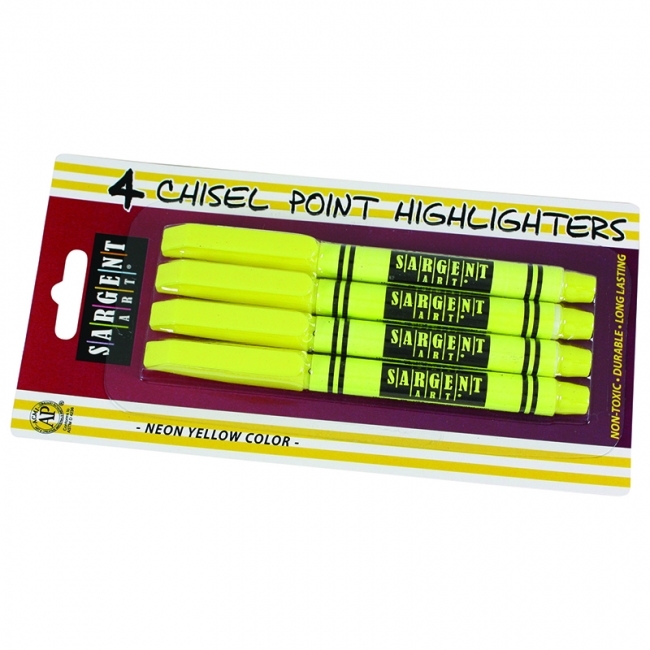 Fine tip yellow highlighter, uses transparent ink for high visibility, neon brilliant colors. 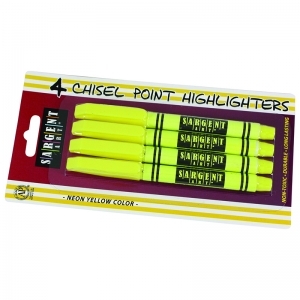 The chisel point makes it easy to highlight. Longer cap-off Lifetime. 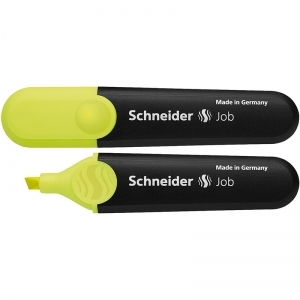 Highlighter with chisel tip for two line widths, 1mm and 5 mm. The universal ink presents maximum brilliance and good lightfastness on normal, copying, and fax paper. 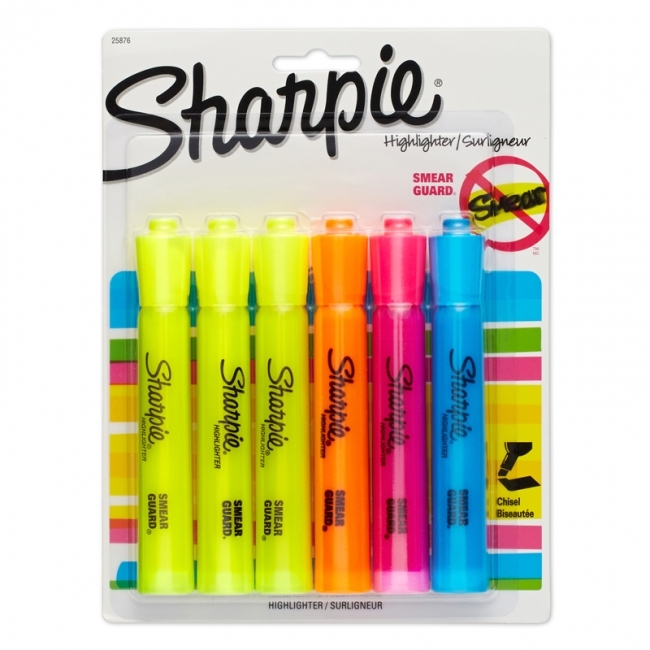 The anti-evaporation polypropylene barrel is guaranteed to keep the highlighter fresh for 2 years and can be refilled with the Maxx 660 refill station. The smart highlighter features brilliant performance. 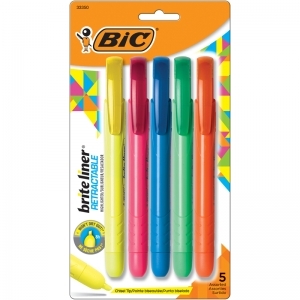 The slimmer shape with rounded edges is perfect for sticking in one's pocket or pencil case. The cap has a clip and fits neatly on the end of the barrel. With its large ink reservoir, the Job pen can highlight over 15,000 words. 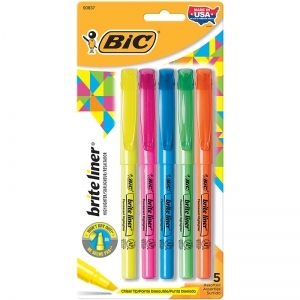 Includes 1 yellow highlighter.